National Donut Day, or National Doughnut Day, was created by The Salvation Army in 1938 to honor those who served doughnuts to soldiers during World War I, and is celebrated on the first Friday of June each year in the States. 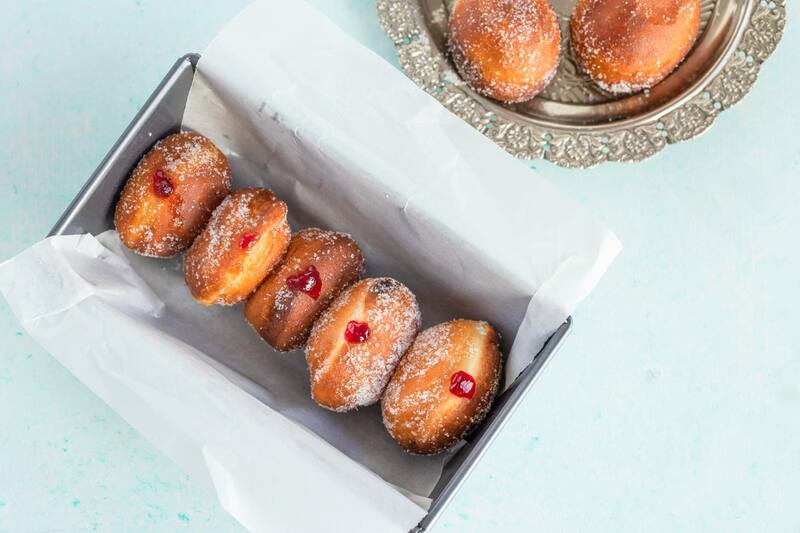 Try making your own doughnuts by selecting one of these Eastern European recipes, often served on Fat Thursday or Fat Tuesday. Polish doughnuts pączki (POHNCH-kee) are fried rounds of yeast dough with rosehip, prune, apricot, strawberry, raspberry, almond, custard or sweet cheese filling. This recipe for Croatian doughnuts fritule, is a yeast-raised fried dough pastry similar to a fritter or French beignet. This recipe for Lithuanian doughnuts, known as spurgos or pampuskos, is similar to Polish paczki and Serbian krofne. Serbian doughnuts (krofne) are eaten year-round but especially before the Great Lent begins.They are yeast-raised rounds of fried dough similar to Polish pączki.